Dry Cleaning Singapore: Can Curtains be Dry Cleaned? Nice curtains improve and enhance the aesthetics, ambience, and appearance of every room in your house. Decorative curtains are even more attractive and can reveal your artistic interest to your visitors. It’s therefore important to ensure that they stay in good condition by regularly cleaning them. Just like every furniture, upholstery, and floors, your curtains need to be cleaned to remove soiling and dust accumulation. Curtains actually tend to absorb smells from around your home such as cooking aromas, smoke from grills if the windows are open, car fumes, dust as well as cigarette smoke. Once they become soiled, they tend to look less attractive, and their appearance may start to change. The curtains may also become heavily discoloured. Soiled curtains may also affect the overall appearance of your house. What your curtains need is proper cleaning to restore their beauty and attractiveness and improve their overall appearance. It’s possible to dry clean curtains. However, you should note that not all curtains can be dry cleaned. Only those with label instructions stated as “Dry Clean” should be dry cleaned. If the instructions say the curtains are for dry cleaning, then don’t attempt washing them with water and liquid detergent. If the curtains are not for dry cleaning, then do not dry clean them. These special cleaning instructions are put on labels with a good reason; such as the occurrence of fabric damage. All the same, dry cleaning curtains is arguably one of the most effective ways to eliminate accumulated dirt, dust, allergens, and even mites. These culprits can build up even in the cleanest homes and create an unhealthy environment. If it’s your first time dry cleaning curtains and have got no idea how to go about it, don’t worry. Below are some step-by-step instructions on how to go about getting your drapes nice, clean, and fresh. • Just like stated earlier, the first and most important step towards cleaning curtains is to read, understand, and follow the instructions. If the instruction label says that the curtains should be dry cleaned, then don’t try washing it. If the curtain instructions label does not recommend dry cleaning, then do attempt to. • Before you begin to dry clean the curtains, remove the rods, pins, and hooks. This will make it simpler to dust and clean them and you’ll also be able to inspect stains if any. Also, removing the pins and hooks is important to prevent tearing the curtains while cleaning or during inspection. Put them aside and place your curtains in a dry cleaner. • If the curtains have stains, spot cleaning is recommended. This is because it’s less labour intensive and less time consuming. In other words, when you spot clean, dry-cleaning will be much easier and faster. If you have a home dry cleaning kit, the better. • Apply the pretreatment solution onto the stains as per the instructions. Rinse as directed and allow them to dry. • You need to have enough home dry cleaning kits especially if you need to clean the entire curtain. • Clean the curtains as per the manufacture’s instructions. Failure to follow the instructions can cause damage to the curtains. Read the instructions to avoid such mistakes and get your drapes clean and fresh. • Now that you’re done dry cleaning your curtains, it’s time to iron them. The curtains may become wrinkled a bit during cleaning. Ironing them out will help remove the wrinkles. Use the lowest iron settings while ironing. Curtains made from polyester or nylon may burn when ironed in high-heat settings- of course, you wouldn’t want this to happen. • Once you’re done ironing, hang them back up on after replacing the pins and hooks. The dry cleaning process involves the use of organic solvents to get rid of dirt and stains in fabrics. Little or no water is used. 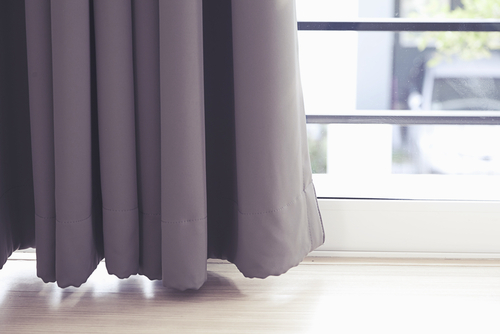 With curtains, dry cleaning comes with a number of benefits. There are various reasons why dry cleaning curtains is much better than washing them. Let’s have a look at the advantages of dry cleaning curtains. Unlike other cleaning methods such as hand washing or steaming, dry cleaning curtains is much gentle on the fabrics. The process does not involve the use of pressure or gripping- only organic solvents and the dry cleaning machine are used. As a result, it helps prolong the lifespan of your curtains and helps them retain their shape and appearance. One big advantage with dry cleaning curtains is that there is no shrinkage or excessive wrinkle formation. The curtains come up clean, smooth, and straight. The few wrinkles formed can be easily ironed. Dry cleaning involves the use of powerful organic solvents which work to remove stubborn or tough stains on the curtains. The solvents are also able to remove mold and fungus on the curtains. That’s why dry cleaning is a much better curtain cleaning method compared to hand washing or machine washing. Curtains collect bad odours very easily. Luckily, the solvents used in dry cleaning not only remove even the toughest stains, but also eliminate bad odours trapped in between the curtain fabric. Because no pressure or gripping is used during cleaning, dry cleaning will certainly prolong the lifespan of your curtains. 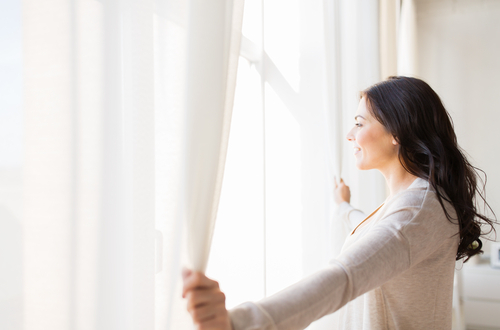 If you don’t have the time to clean your curtains, taking them to professional dry cleaners is another great option. Of course you’ll spend a few dollars, but it’s certainly worth it because professional cleaners are handling your curtains. 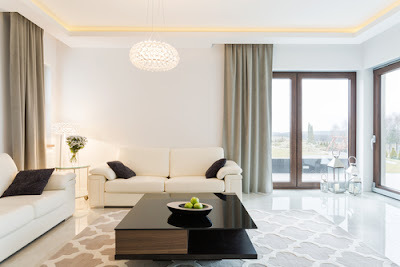 Professional curtain cleaners got the skills, expertise, and the right equipment and cleaning products to ensure that your curtains are left spotlessly clean and increase their lifespan. In Singapore, there are many professional curtain dry cleaners. However, not all can meet your expectations. It’s advisable to use recommendations from friends and family to get the best and high-quality services. As you’ve learned, dry cleaning curtains is possible. As long as the right instructions are followed, the outcome should be satisfactory. Dry cleaning your curtain will leave them clean and fresh and will improve the appearance of your house now more than ever.